Dr. Ilias G. MAGLOGIANNIS is the Director of the Computational Biomedicine Laboratory in the Dept of Digital Systems in the University of Piraeus (http://cbml.ds.unipi.gr). He received a Diploma in Electrical & Computer Engineering and a Ph.D. in Biomedical Engineering and Medical Informatics from the National Technical University of Athens (NTUA) Greece in 1996 and 2000 respectively, with scholarship from the Greek Government. From 1996 until 2000 he worked as a Researcher in the Biomedical Engineering Laboratory in NTUA (www.biomed.ntua.gr). From February of 2001 until June 2008 he was with the Dept of Information and Communication Systems Engineering in University of the Aegean (www.icsd.aegean.gr), from 2008 until 2013 he was Assistant Professor in the Dept of Computer Science and Biomedical Informatics in the University of Thessaly (www.dib.uth.gr) and in the beginning of 2013 he joined the Dept of Digital Systems in the University of Piraeus. He has been principal investigator in many European (i.e. FP7: e-LICO, INHOME, FP6: UNITE, NOMAD, TELEMED, FP5: MOMEDA, INTRACLINIC) and National Research programs, while he has also served as external evaluator in R&D projects for the EU, the Government of Hong Kong, the Republic of Portugal, Czech, Cyprus and Greece. His scientific interests include Telemedicine, Image processing and Computer Vision, Multimedia and Video processing, Mobile and Pervasive Healthcare Systems and Ambient Assisted Living. His published scientific work includes three (3) books (Springer, IOS press and Morgan Claypool Publishers), 92 journal papers and more than 160 international conference papers. Dr. Maglogiannis has received more than 3600 citations on his published work. He served as Associate Editor for the Journals IEEE Biomedical Health Informatics, IEEE Transactions on Information Technology in Biomedicine, Journal on Information Technology in Healthcare and he is editorial board member of Personal and Ubiquitous Computing published by Springer, Scientific World Journal published by Hindawi and Intelligent Decision Technologies published by IOS Press. 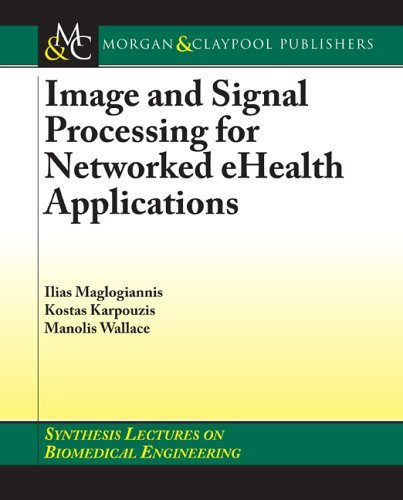 Dr. Maglogiannis is a Senior member of IEEE – Societies: Engineering in Medicine and Biology, Computer, Communications, SPIE – International Society for Optical Engineering, ACM, the Technical Chamber of Greece, the Greek Computer Society and the Hellenic Society of Bioinformatics. 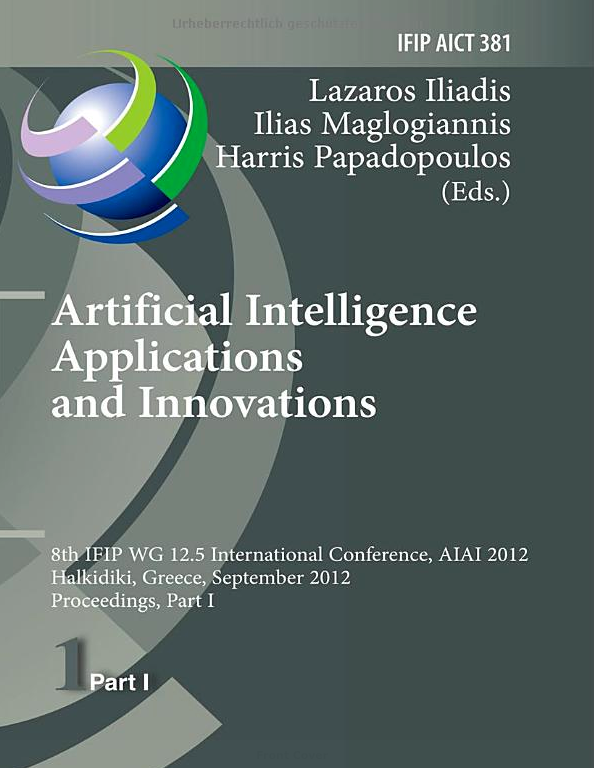 Dr. Maglogiannis is also since 2014 president of IFIP Working Group WG12.5 (AI Applications) and since 2015 Vice- President of the Hellenic Association of Biomedical Engineering. C. Doukas, I. Maglogiannis, “An Assistive Environment for Improving Human Safety Utilizing Advanced Sound and Motion Data Classification”, Universal Access in the Information Society UAIS, 10 (2): 217-228 (2011) Springer. Georgakopoulos, S.V., Kottari, K., Delibasis, K., Plagianakos, V.P., Maglogiannis, I. Detection of malignant melanomas in dermoscopic images using convolutional neural network with transfer learning EANN 2017 Communications in Computer and Information Science, 744, pp. 404-414. I. Maglogiannis, T. Goudas, A. Billiris, H. Karanikas, I. Valavanis, O. Papadodima, G. Kontogianni, A. Chatziioannou: Redesigning EHRs and Clinical Decision Support Systems for the Precision Medicine Era. 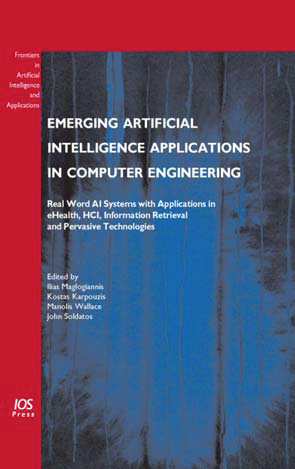 In Proceedings of the 16th International Conference on Engineering Applications of Neural Networks (INNS) (p. 14). ACM. C. Doukas, N. Fotiou, G. Polyzos, I. Maglogiannis, “Context-Aware Delivery of Information in Assistive Environments Utilizing Future Internet Technologies”, In Proc of 4th ACM International Conference on Pervasive Technologies Related to Assistive Environments (PETRA 2011), Crete, Greece ACM. V. Pigadas, C. Doukas, V. Plagianakos, I. Maglogiannis, “Enabling Constant Monitoring of Chronic Patient Using Android Smart Phones”, In Proc of 4th ACM International Conference on Pervasive Technologies Related to Assistive Environments (PETRA 2011), Crete, Greece ACM. P. Moulos, I. Valavanis, J. Klein, I. Maglogiannis, J. Schanstra, and A. Chatziioannou, “Unifying the Integration, Analysis and Interpretation of multi-omic datasets: Exploration of the disease networks of Obstructive Nephropathy in children”, In Proc of 33th Annual International Conference of the IEEE Engineering in Medicine and Biology, EMBC11 Boston, USA, 2011. S.K. Tasoulis, C.N. Doukas, I. Maglogiannis, and V.P. 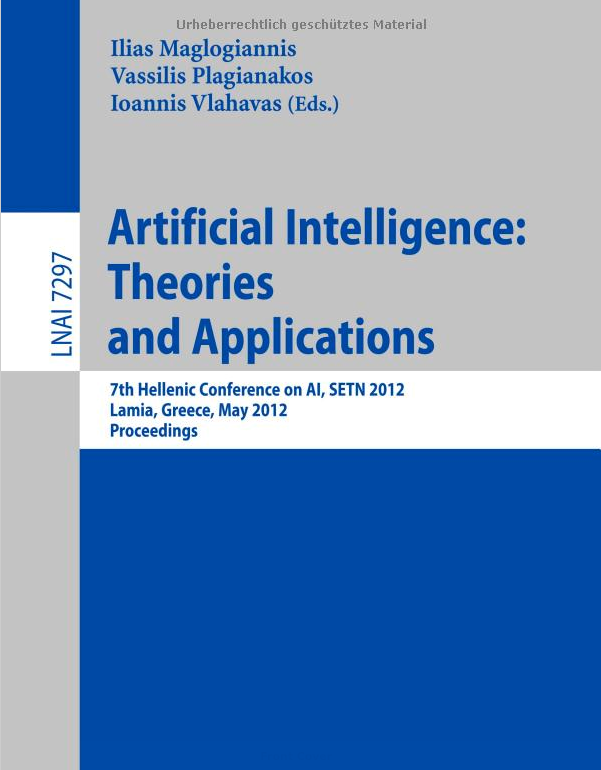 Plagianakos, ” Independent Component Clustering for Skin Lesions Characterization”, In Proc of Artificial Intelligence Applications in Biomedicine (AIAB 2011), Corfu, Greece, 2011 Springer. Kyriazis, D., Autexier, S., Brondino, I., Boniface, M., Donat, L., Engen, V., Fernandez, R., Jimenez-Peris, R., Jordan, B., Jurak, G., Kiourtis, A., Kosmidis, T., Lustrek, M., Maglogiannis, I., Mantas, J., Martinez, A., Mavrogiorgou, A., Menychtas, A., Montandon, L., Nechifor, C.-S., Nifakos, S., Papageorgiou, A., Patino-Martinez, M., Perez, M., Plagianakos, V., Stanimirovic, D., Starc, G., Tomson, T., Torelli, F., Traver-Salcedo, V., Vassilacopoulos, G., Wajid, U. CrowdHEALTH: Holistic health records and big data analytics for health policy making and personalized health (2017) Studies in Health Technology and Informatics, 238, pp. 19-23.